Highpoint is ready for its new tenants! A beautiful commercial steel building is ready for shops and restaurants to serve the Braselton community. We are anxious to see the new businesses open and support the economic growth being realized throughout the area. Premier’s turnkey services are available in Braselton and surrounding areas. Steel buildings are an excellent investment when it comes to commercial and retail operations. They are versatile, economical and durable. 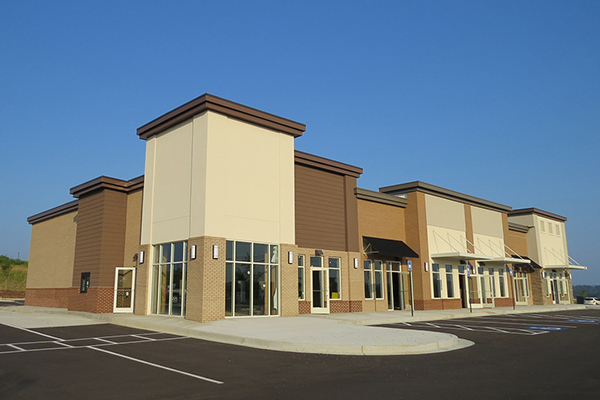 A new retail center is going up in Braselton and we’re excited to see the new businesses set to open right in our own backyard. Flanked by Chick-fil-A and Dunkin Donuts, the new Highpoint commercial space is a great addition to the local economy. Along with consulting on specifications and delivering pre-fabricated steel buildings across the country, Premier offers contracting services here in Georgia. As a licensed contractor with a full project management team, we have the experience and know how to bring projects like Highpoint to life. The Highpoint project is located at 2610 Old Winder Highway in Braselton. This high-growth area is also home to Northeast Georgia Medical Center, Braselton, the nearby Chateau Elan winery and many retail and dining establishments. Here are a few photos during construction of the Highpoint steel building in Braselton.